The Next Stage: Women and Retirement: Here come the lilies! 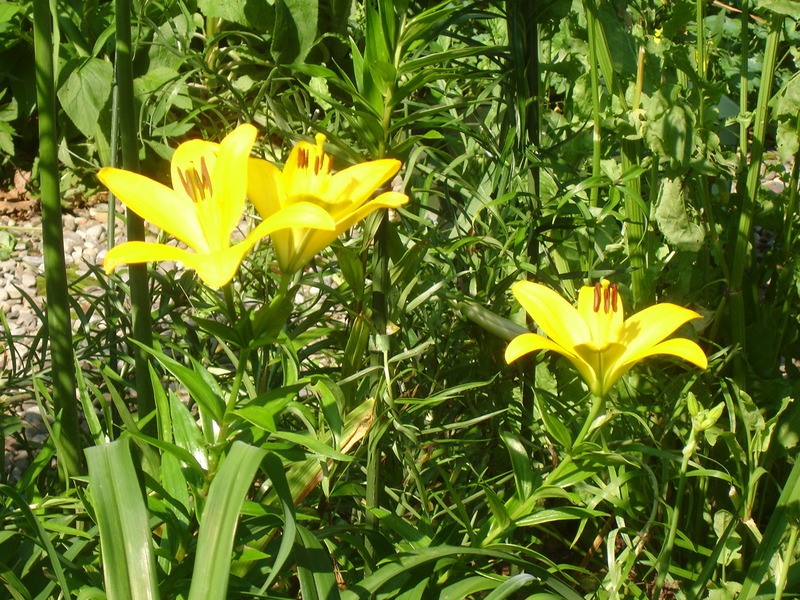 The official start of summer means my garden is filled with lilies. 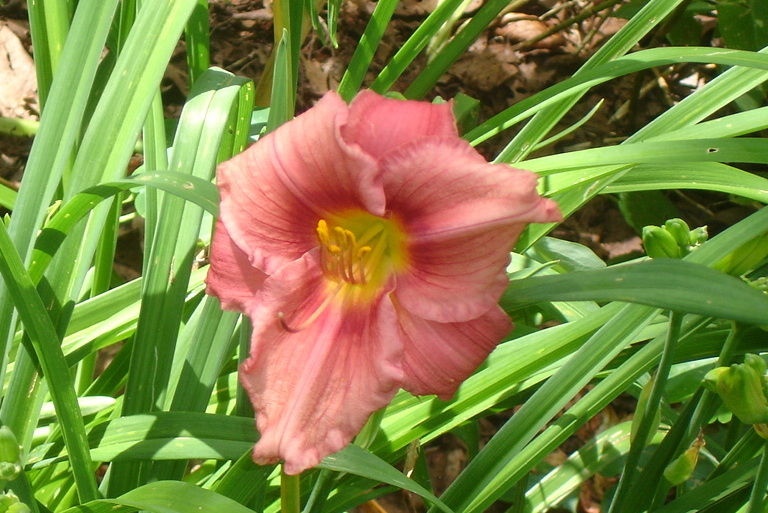 That includes the much despised orange daylilies which grow by roadsides. I have more than I can use, but I can’t give them away. Most people view them as little better than weeds. 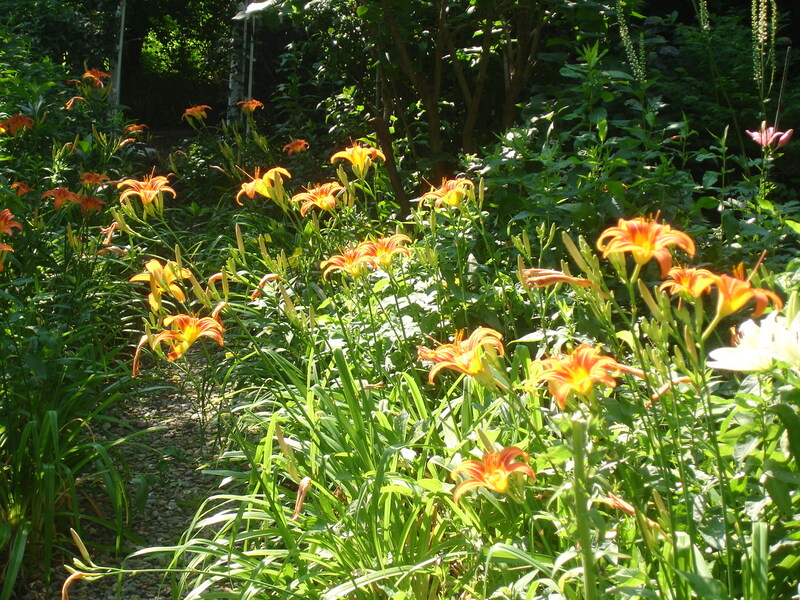 But there’s nothing more beautiful than a huge mass of orange daylilies. I’m sure if they were rare and hard to grow they would be considered beautiful and be highly prized. Next come the regal lilies. The most beautiful of all is lilium regal album which has the most astonishing fragrance. I realize this sounds strange, but the best way I can describe it is a sweet lily fragrance mixed with a peppery scent. 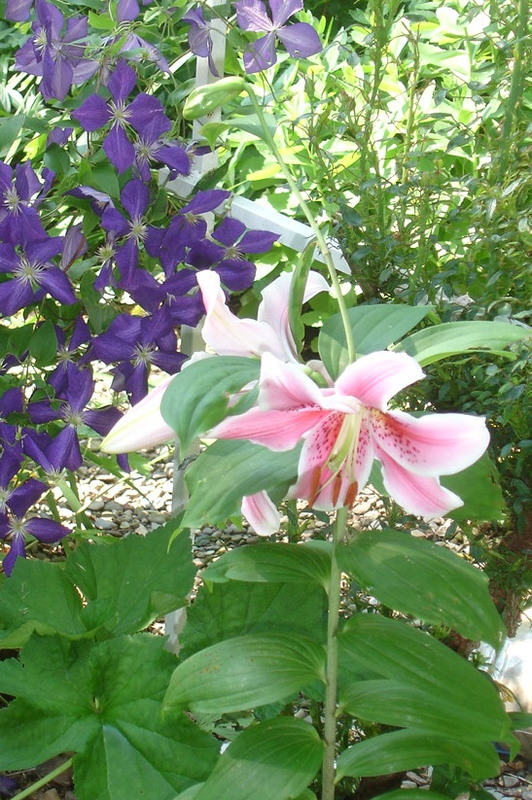 Then the Asiatic lilies. They have large, showy flowers but unfortunately no fragrance. I've found that the yellow Asiatics are most likely to return year after year. The hyper-hybridized Asiatic lilies which come in spectacular colors like Landini, a deep burgundy, bloom for one year and disappear. It's so beautiful,I succumb to the temptation to buy new bulbs every year. Then the first of the Orientals-a miniature oriental, Mona Lisa. 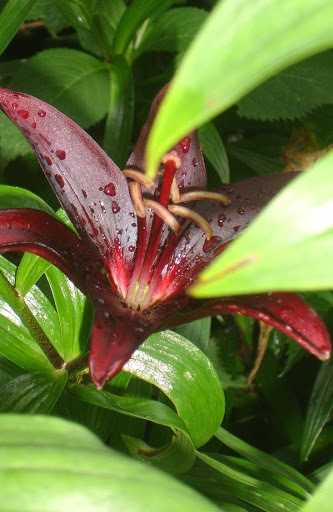 Its musky oriental lily fragrance is far from miniature and it has the advantage of not needing to be staked. 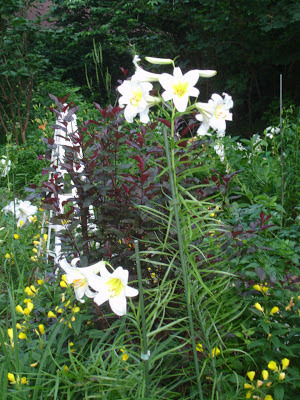 I can never keep up with staking lilies in July when the tall orientals rule! More lily photos to come.